We have teased with it, we have lured with it and we have promised it to one of you; now we can't postpone it any longer. There are just 15 pairs of the exclusive Nike Mercurial Vapor XV R9 Chrome in the world and one of them has landed with us. We are however generous souls and therefore give you the chance to win them, so you can add them to your collection. How you can do that, can be found out in the article below. 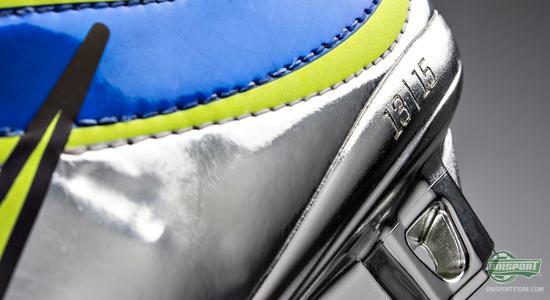 15 pairs worldwide. We have one pair. To be precise we have number 13 out of 15. 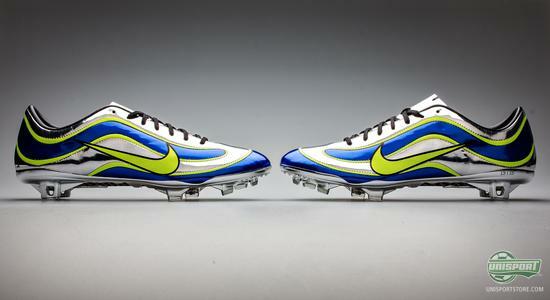 They are one the most limited boots ever and will be the crowning jewel of any boot enthusiast collection. 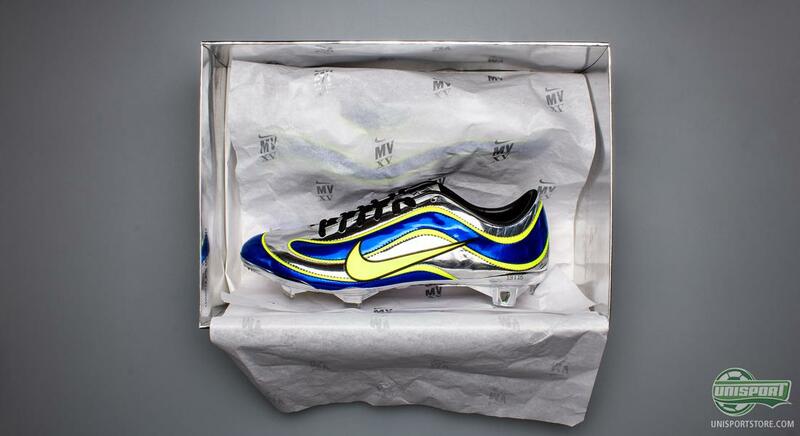 The Nike Mercurial Vapor XV R9 Chrome is not only pretty on the eye, it is a collectable with no equal and even though it would be a mighty addition to our own collection, we think there is someone out there, with greater needs than ours. Maybe that is you? 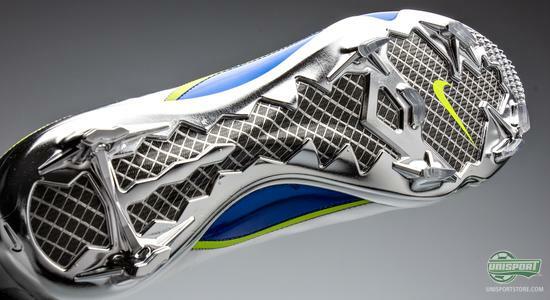 That is what we think in any case and we therefore officially kick start the competition now. 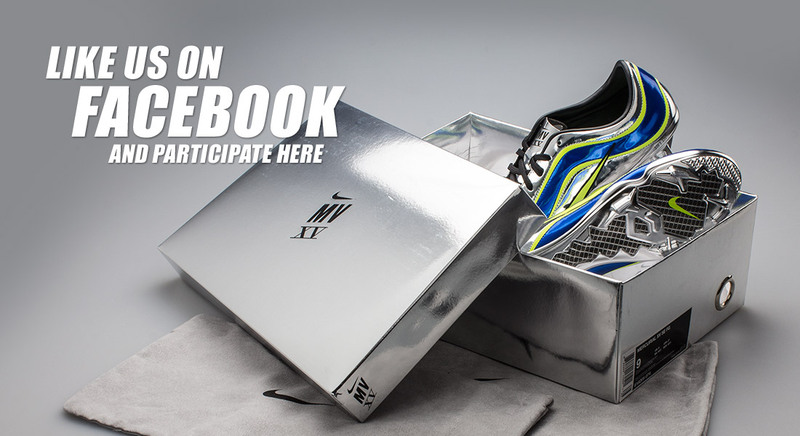 First and foremost they are intended for the people who already like us and have said so on Facebook; as this is where you sign up for the competition. You do so through the app, which you can find right here and when you make it this far, then all you need to do is follow the instructions on the screen. You just need to fill out the boxes. Don't you like us on Facebook yet? You can do so right here. The box, which you need to pay extra attention to, is the top one. It is here, where you write exactly why it is you, who deserves to win the exclusive pair of Nike Mercurial Vapor XV R9 Chrome. You haven't got much space to do so, so be brief, precise and last, but most definitely not least, honest. We will afterwards read the answers and from here pick nine lucky contestants, who will be in with a chance to win the boots. Do you want to be in with a chance? Join the competition right here. Sound good? Are these boots going to be yours? It all sounds pretty exciting we think and we can't wait to see the best answers, for why it is you who deserves to win. Let us know what you think about the competition too in the comment-section down below and on Twitter and Facebook.